This plant was my mom's. I think it is happy in it's new home. Can you tell me what the name of the plant is? It kind of freaked out when I repotted it so maybe if I knew what it was I could help it some. Thank you! Thank you very much for the helpful link! I sent a response to the wrong person earlier. I loved one of the photos, it was the same crazy tangled vines of a plant that I had to cut the macrame holder a part to get it out of the pot. I'm excited to google it so I can give it what it likes and that it might flower for me. Thanks again! My plant appears identical. It's nursery label says "Hoya - Pink Silver". Oh my goodness!!! The link you sent had a photo of the same tangled up crazy plant that I had to cut the macrame holder apart to get it out of the pot! Thank you so very much! I hope I can google information that will make it happy enough to flower for me! Beautiful! 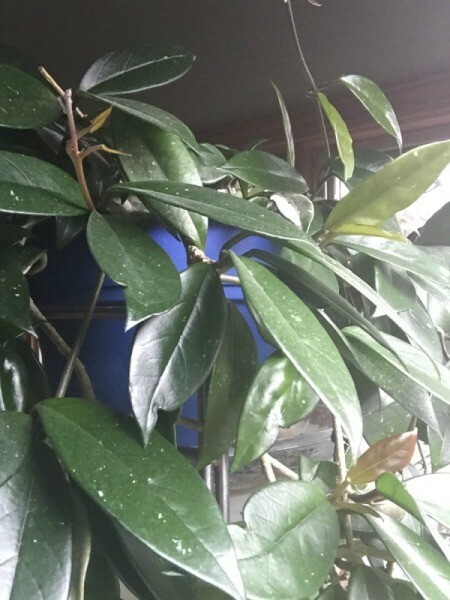 Hoya makes a wonderful houseplant. It likes a fair amount of light (no direct sunlight). It blooms at 2 or 3 years old in the spring or summer. Dont trim the spikes that bloom as blooms will come back the following year in the same place. The blooms are so beautiful. Repot every few years when it starts to look root bound. You will love it. 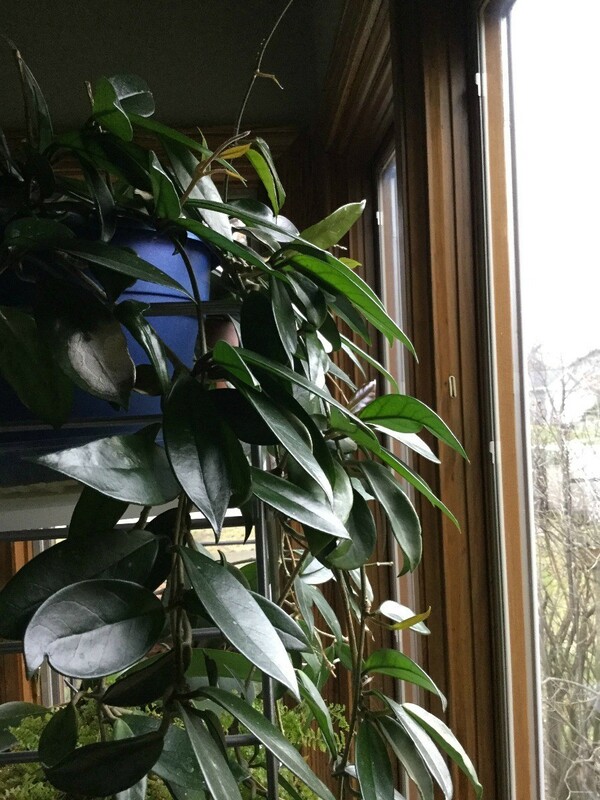 My mom had it 20+ years in the same pot, and it was happy as a clam. I recently repotted it and it was pretty grumpy for a while but is now looking better. I live in Illinois and the long winters with less light, maybe it will never bloom. I will google to see if maybe fertilizer would facilitate blooming. Thank you for sharing your knowledge about this plant, I really love my plant. 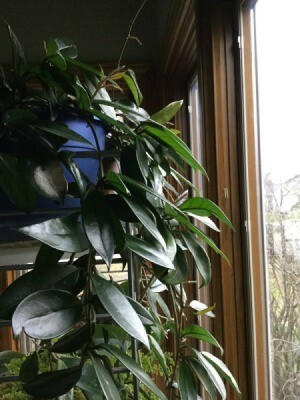 It is a hoya. Good luck. 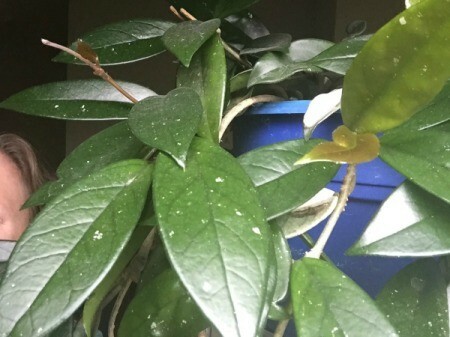 it looks like a Hoya, but remember there are websites that allow you to identify plants by the description of the leaves.